As well as providing premium English immersion courses, Riversdown House is also home to the Riversdown Golf Course – a 9-hole course set in 45 acres of the Riversdown estate. The course is free to use during your stay at Riversdown and a wide selection of equipment is available to borrow at no extra charge. A special benefit is our resident PGA professional and golf teacher, John Harris. 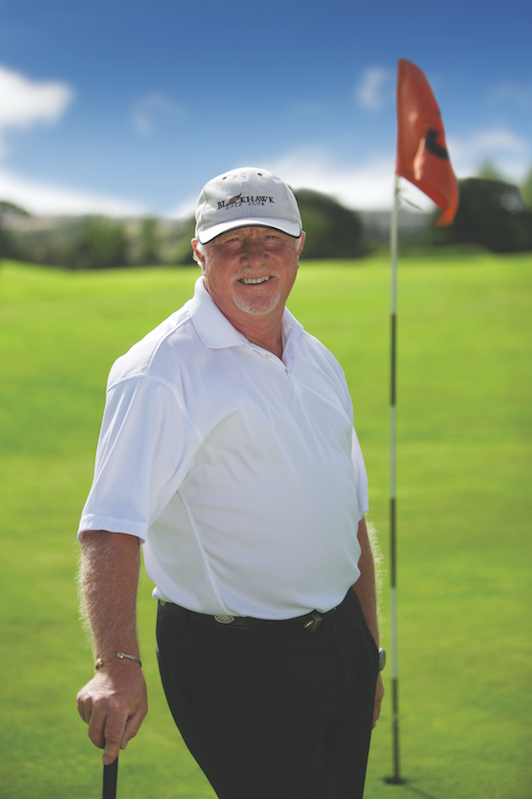 John is a respected golf pro with over 50 years’ experience who has played in all the major international competitions and has been personal coach to many top tour professionals and celebrities. If you are a regular golf player, John can help you identify your weaknesses and give you the guidance and exercises needed to improve your handicap. If you have never played before, he will teach you everything you need to know to get started and have fun playing the game. Many students enjoy their first golfing experience so much that they become life-long players! 1 – For anyone taking an English course, John gives up to three, 45-minute courses per day (before breakfast, after lunch, and before dinner) depending on weather and season. The first two days are included for free with a small charge of £30 per day added for further group lessons and £50 for private lessons. As with all our courses, the English training sessions are one-to-one lessons with a native English speaker. The classes are adapted to your level and objectives with work on grammar, vocabulary, and communication skills. During the golf sessions, John offers a combination of activities and coaching at the Riversdown Golf Course plus excursions to up to 5 local courses including Stoneham, Brokenhurst, Corhampton, Blackmoor and Hedge-End (additional green fees apply).